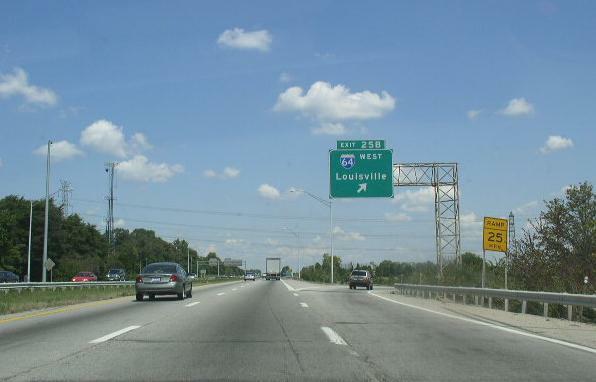 Interstate 265 is the outer-loop on the Louisville Expressway system. 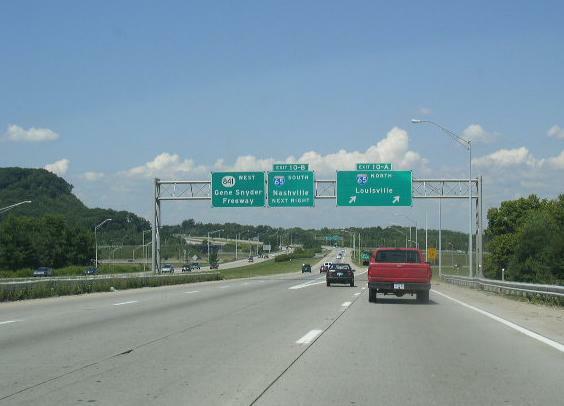 It runs from Interstate 65, near Minor Lane Heights to Interstate 71, near Brownsboro Farm. 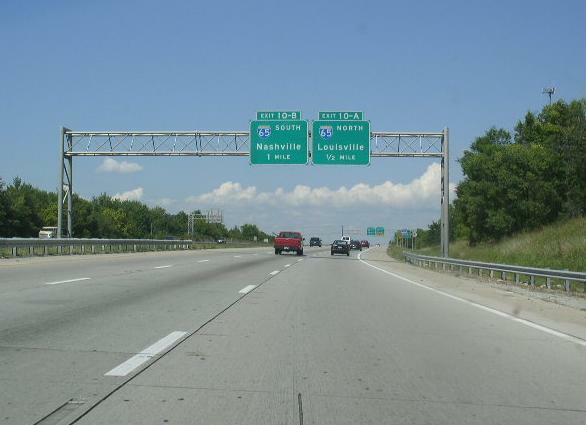 The FHWA Route Log listes I-265 as being 24.48 mile long. 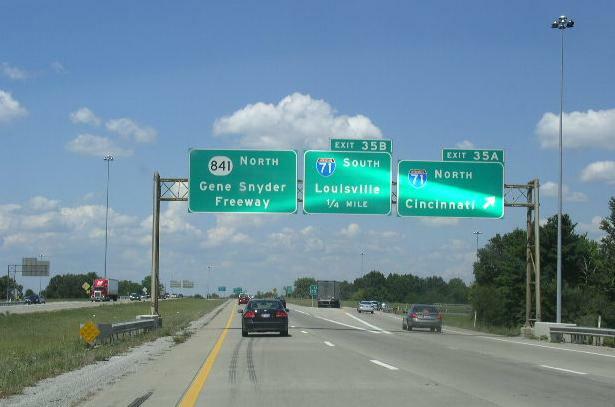 This runs on the Gene Snyder Freeway. 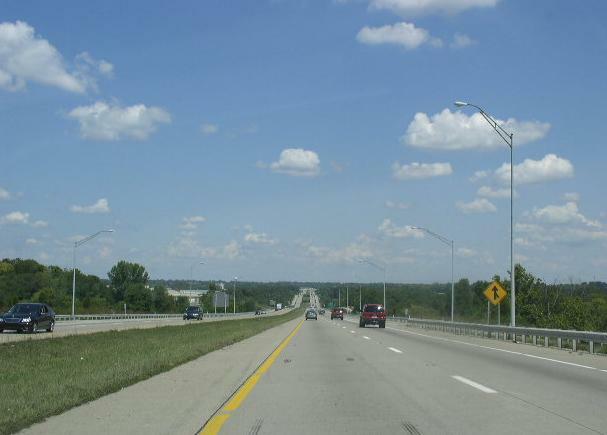 Future plans call for the Kentucky portion of I-265 to join up with the Indiana portion of I-265, near Prospect. 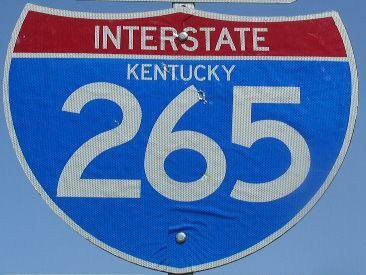 While in Kentucky, I-265 is multi-plexed. 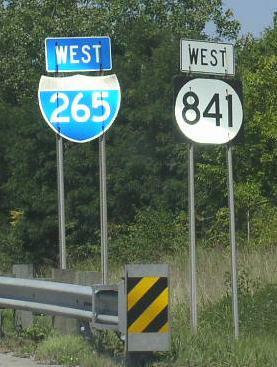 ...Kentucky State Route 841, along the entire route. 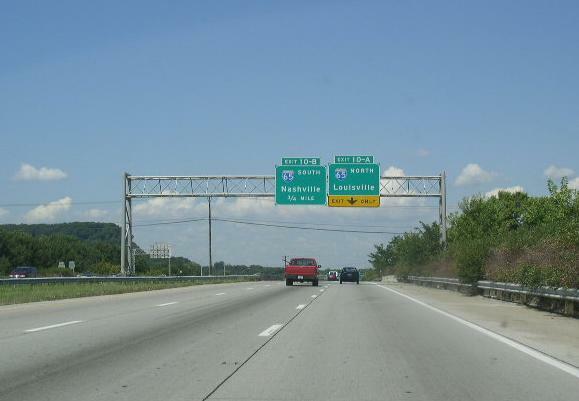 Interstate 265 crosses the following interstates in Kentucky. 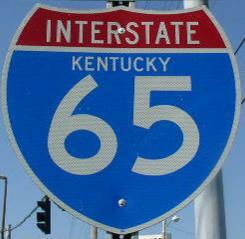 Interstate 65, near Minor Lane Heights. WB I-265 just west of KY St Rt 61. NB I-265 at WB I-64. 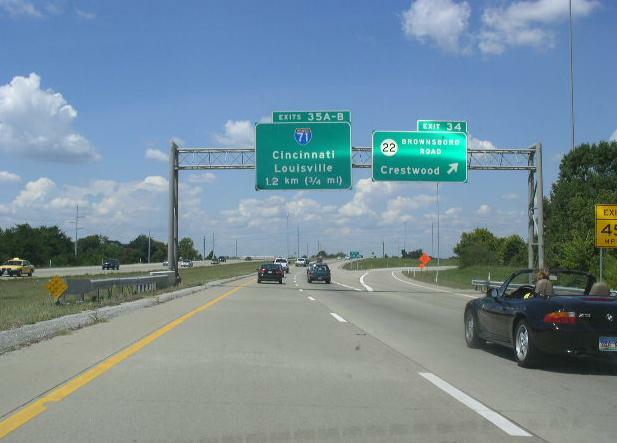 Interstate 71, near Brownsboro Farm. 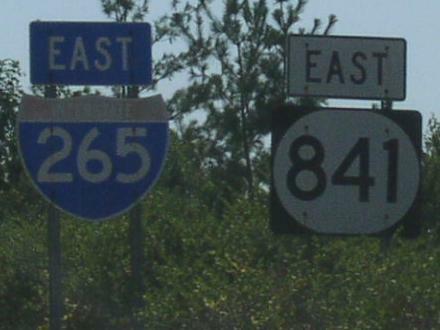 Info on the parent highway of I-265. 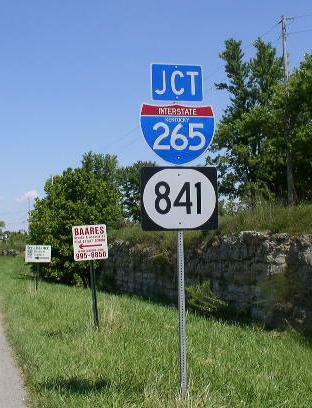 A junction marker on NB KY St Rt 61. 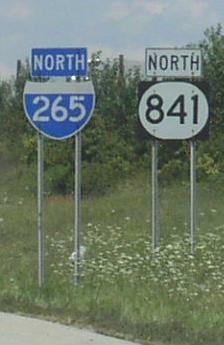 NB I-265/KY St Rt 841 north of U.S. Rt. 60.